What a beautiful picture. 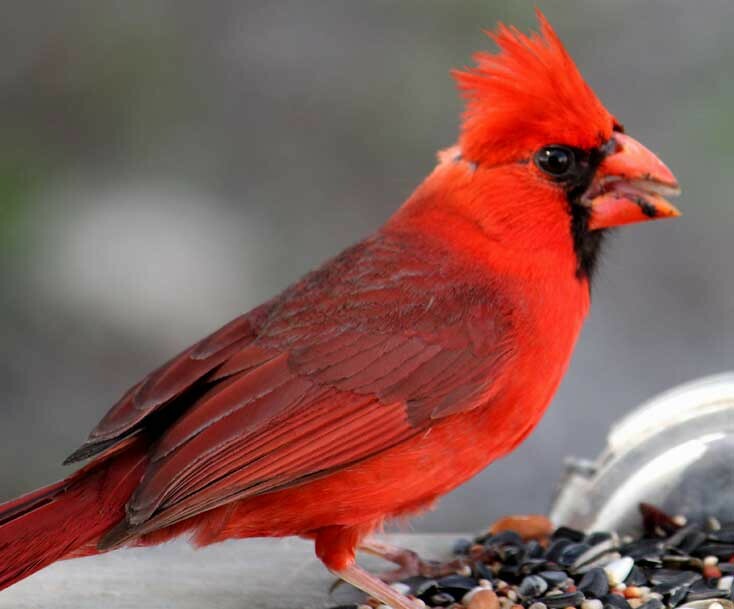 The coloring of this bird is gorgeous….so bright! Seriously, that is interesting behavior. I wonder if it’s to show that he’s willing and able to feed the babies when they hatch.